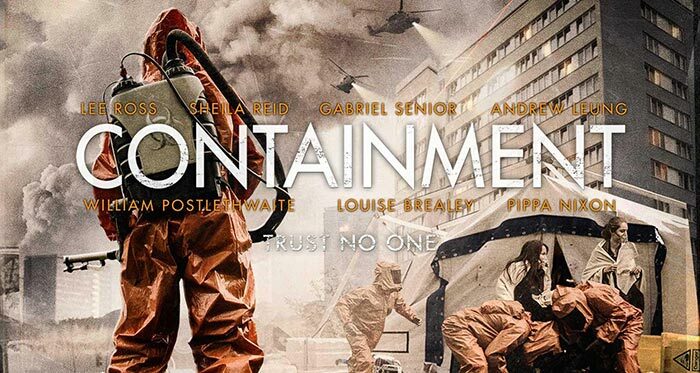 We worked with Bright Cold Day Films to look after their self-distributed UK theatrical release of British psychological thriller Containment, starring Louise Brealey, Lee Ross, Sheila Reid and Andrew Leung. We managed press screenings, talent interviews, digital assets, creative content, and social media, securing quality national & regional print, online and broadcast coverage across the board, with media outlets including The Guardian, The Times, The Independent, UK Metro, Evening Standard, Little White Lies, Sight & Sound, Total Film, Empire, Radio Times, SciFi Now, SFX, Starburst Magazine, Absolutely Magazine, .Cent Magazine, Film3Sixty, Digital Spy, Hey U Guys, Film News, Flavour Magazine, Close Up Film, Bright Shiny News, The Hollywood News, Vulture Hound, Flush Magazine, Oxford Times, Brighton Argus and much more. We partnered with Jameson Irish Whiskey to offer bottles with props from the film to fans who sent us our special ‘#Contained’ web listings, created features, GIFs and memes, and dressed in Hazmat costumes to get involved in London’s tube strikes. We also managed the North America DVD release of the film, securing press coverage in The Hollywood Reporter, Movie Pilot, Way Too Indie, The Independent Critic, Films in Review, Cultjer, Horror Honeys, Slice of Sci-Fi, SFF World, Film Industry Biz, and more.